If somebody came into your town and froze it over, you’d be a little ticked off, right? I would be, unless it was Elsa from Frozen because come on (that could just be me, though). 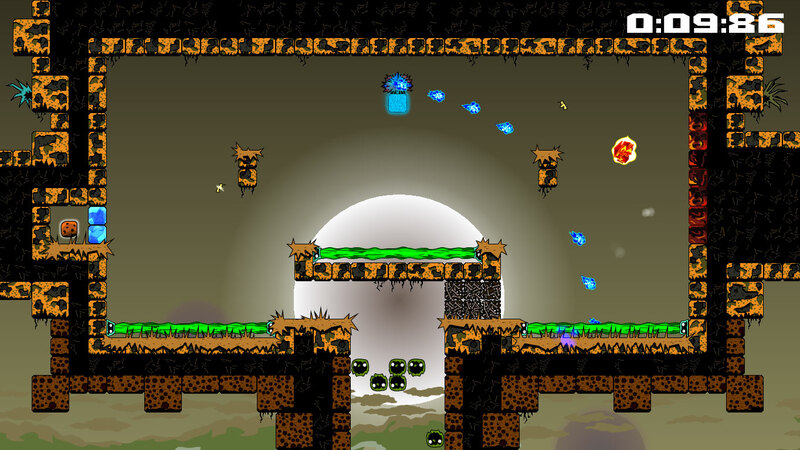 But in the case of Fenix Rage, a 2D platformer from Green Lava Studios, it’s not so joyous. Hence, Fenix is raging and San Diego Comic Con offered a little insight into that rage. 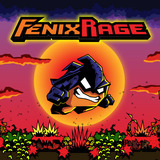 Fenix Rage is straightforward in its offerings: it’s a 2D platformer that offers a small range of simple controls over the course of 200 levels. You’re tasked with getting from Point A to Point B, smashing and dashing your way through various obstacles to chase down the offender who wrecked your town. The developers were heavily inspired by games such as Super Meat Boy and Sonic the Hedgehog and it shows through its gameplay and art style. It’s fast paced, with levels taking ranging from literally seconds to about 10 minutes, depending on how your skills have adapted. It won’t be an easy game to complete and that was far more than an intentional move from the developers. Green Lava Studios promotes the game as aggravatingly addictive and I experienced that first-hand with the demo. Levels became increasingly difficult, which is no surprise. However, from what I was told about the developer, game progression is very troll-like. For example, all levels have the Point A to Point B, but some levels don’t have a static Point B. Rather, they’ll have a Point B that changes every few seconds. It’ll really test the patience and the timing you have. There were a few levels that took me upwards of 10 minutes to complete, but didn’t make me want to throw the controller. Instead, a gamer’s competitive edge can certainly kick in and make Fenix Rage that much more enjoyable. Still, nothing will be entirely insurmountable. 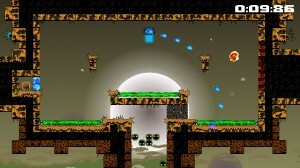 The character will have all its powers up front: infinite jumps and strong dashes. So it’s not about upgrading the character as much as it is about honing your skills. With 200 levels, there’s going to be quite a bit to accomplish, even for what’s currently only a single-player game. 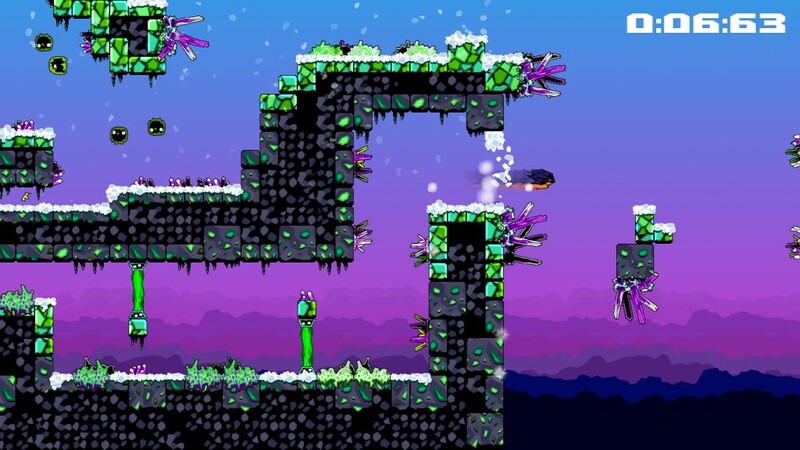 Once you beat a level, an alternate, more difficult version will become available that throws additional obstacles in your way. One example I saw took a pretty simple level with no difficulty and threw in Mario franchise Boo-like enemies onto the map. But it’s not all meant to frustrate you. There is a neat feature baked into the collectables: cookies. A cookie available to collect in each level and your collection will build a series of recipes. I was told these are legitimate recipes, as provided by the developer’s chef of a sister. Fenix Rage certainly is displaying a good amount of charm. Look for it to be released from the Costa Rican developers later this year.